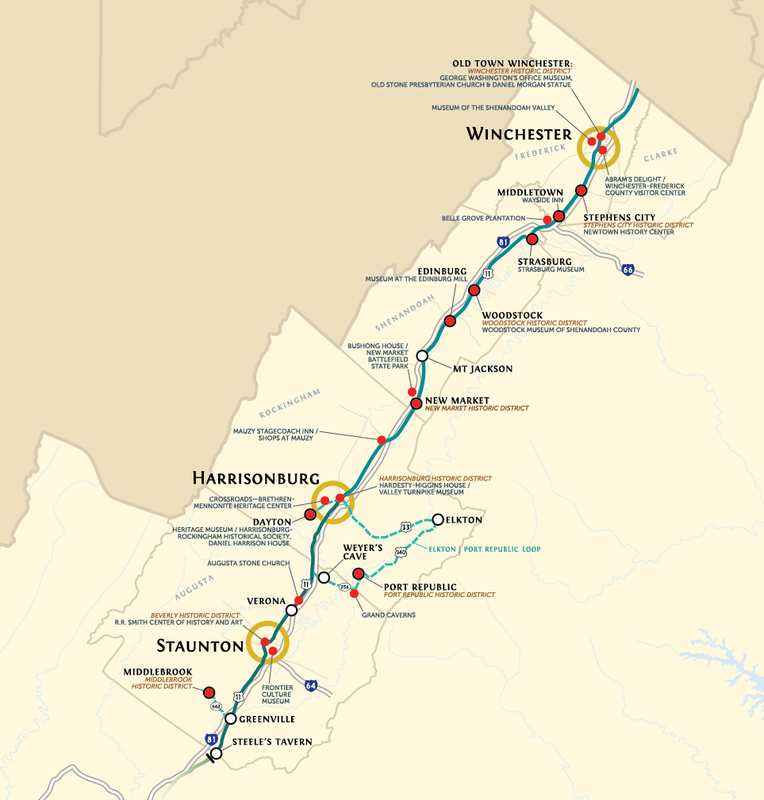 Shenandoah, a Native American word that means “Daughter of the Stars”, is in the “Heart of the Shenandoah Valley”. This area offers trails into history of its first settlers — American Indians, Germans, Swiss, and Revolutionary and Civil War time periods. While exploring our history and natural beauty, stay while as our combination of great hotels, restaurants and attractions create wonderful memories to last a lifetime. 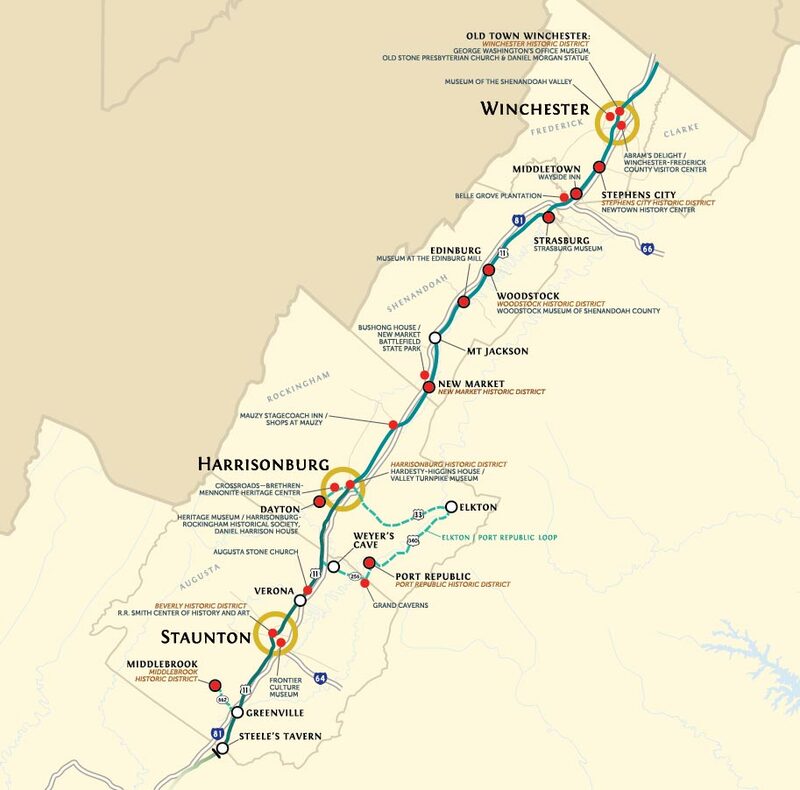 The ‘narrow passage’ on the Great Wagon Road through the Shenandoah Valley of Virginia (now U.S. Route 11) was a popular spot for Indian attacks. Settlers often took refuge behind the inn’s sturdy log walls over the next 20 years. 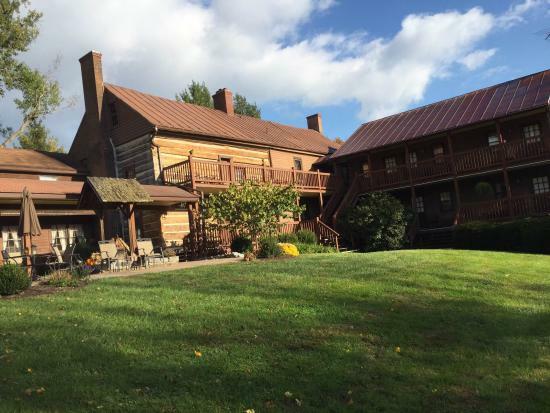 Located on five private acres along the Shenandoah River in Woodstock, Virginia, our Inn offers 12 guestrooms, a well-equipped conference room for small executive meetings, many common areas, and lovely grounds to host retreats, family gatherings, and relaxation not far from Northern Virginia. New Market is a typical “turnpike town,” incorporated in 1796 at a major crossroad on the Great Road. Jacob and Sarah Bushong built the symmetrical frame house about 1825. In 1864, three generations of their family found shelter in the basement during the historic Battle of New Market as it was fought around the house. The New Market Battlefield State Park does an excellent job of presenting the lives and context of Valley residents, particularly those of Germanic descent, in addition to the site’s Civil War context. 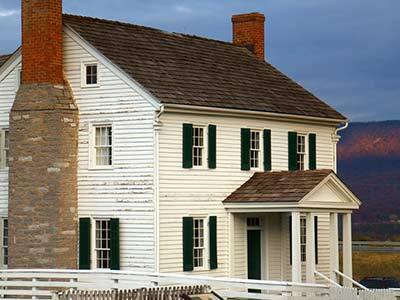 Strasburg, originally called Staufferstadt, was settled in the 1730s by mostly German-speaking families. It was the home for 150 years of a thriving pottery industry and was often referred to as Pot Town. 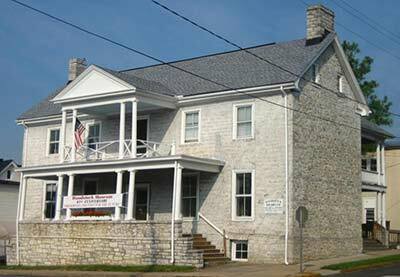 Housed in a two-story brick factory built for a local pottery manufacturer in the late nineteenth century, the Strasburg Museum exhibits historical tools, furniture, Native American artifacts, and local pottery. Shenandoah County was settled predominately by families of German stock. Woodstock was established in 1761 and was locally known as Muellerstadt. The Woodstock Museum is housed in the two-story, stone Marshall House, which served as the home of President James Madison’s father Thomas from 1772–1781. It contains a fine collection of local and regional artifacts, including tall case clocks by local craftsmen Jacob Fry and Caleb Davis. The nearby restored Courthouse Square is home to the 1775 stone Shenandoah County Courthouse, with its German Baroque-style cupola. The Edinburg Mill, a three-story frame grist mill, stands on the banks of Stony Creek in the well-preserved turnpike town of Edinburg. Built about 1850, Edinburg is one of the best-preserved antebellum towns in the Shenandoah Valley. The mill is one of a series of grain, wool carding, and saw mills that were built after 1813 by Philip Grandstaff and his son George. Today it serves as a museum of the history of Edinburg, the Valley Pike, and the milling industry. It houses a visitor center and gift shop.